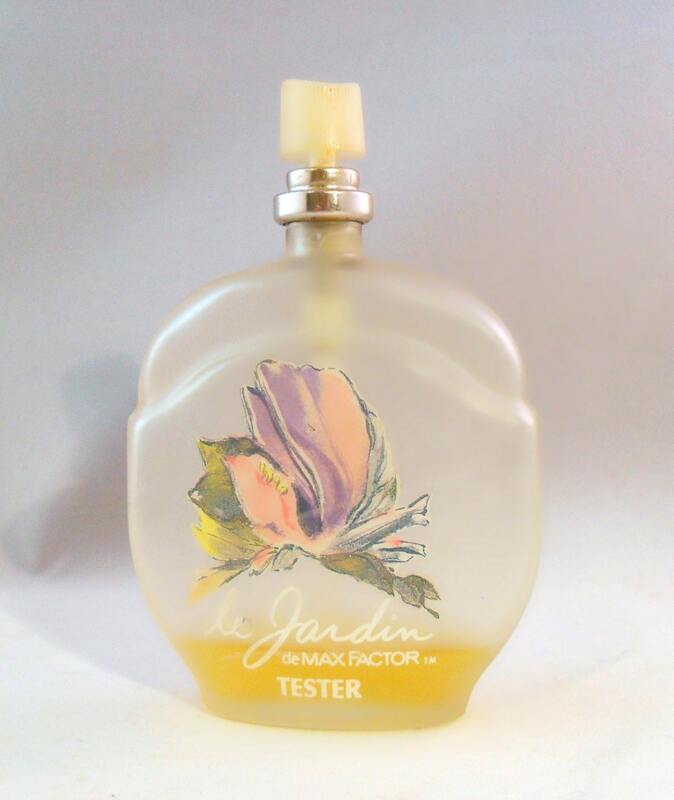 Vintage 1980s Le Jardin by Max Factor 2 oz Eau de Toilette Spray. The bottle is about 10% full. This was originally a tester bottle. No cap and no box. The perfume is old and no longer fresh, it smells slightly turned to my nose, maybe I am just picky, it may be wearable, but I think it might be more suited as a collectible than a regular in your fragrance wardrobe. 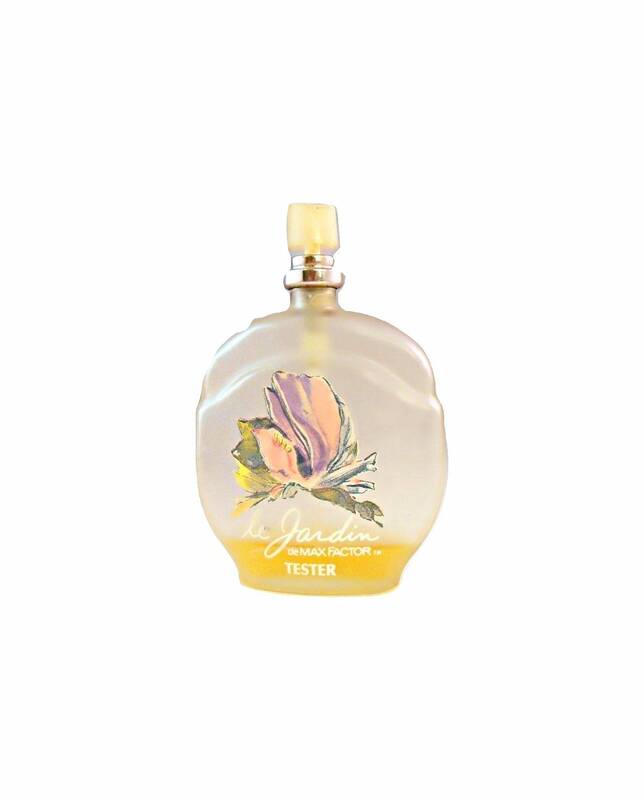 Le Jardin by Max Factor is classified as a green floral fragrance for women. 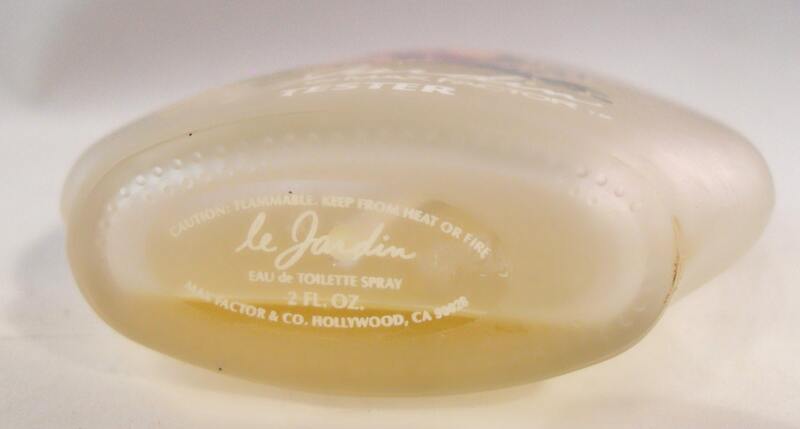 Le Jardin was launched in 1982.